Lyme disease is a common (and sometimes inaccurate) name for infection by Borrelia bacteria and a small number of “co-infections”. Borreliosis (as it is more correctly called) has been recognised and treated in Europe since around 1905. It was “discovered” in USA in 1975 around the town of Lyme, Connecticut (hence its name). Since then, there has been a great deal of significant research and a variety of Lyme Associations have developed around the world. There is great contention and confusion in many part of the world about diagnosis and treatment of Lyme disease. There is no doubt that hundreds of thousands of people are infected and most are not receiving appropriate treatment. The real figure could well be much higher. The reason for this is the fact that Lyme disease has a variety of symptoms which are difficult to classify. In Europe, UK, Australia and the USA it is the most commonly unrecognised, under diagnosed and misdiagnosed infectious disease (diagnoses include for example, amyotrophic lateral sclerosis (ALS), fibromyalgia, multiple sclerosis, Parkinson’s, Alzheimer’s and rheumatism). It should also be borne in mind that it can take weeks, months – indeed, in exceptional cases even years – for the disease to manifest. Between the individual stages of the disease, the patient may be completely free of complaints for weeks. Ticks are the most common vector, however, mosquitos, flies, horseflies and even dog and cat fleas can carry and transmit the bacteria. There can be many symptoms with Lyme disease, possibly over 150 which can make it difficult for doctors to diagnose; it’s not called the Great Mimicker for nothing. 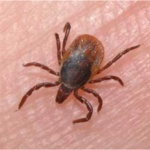 Early manifestations of localised tick-borne (and many other vectors) infection mainly involve the skin whereby a visible bullseye rash can form around the bite but this only happens around 30% of the time. In the later stages the inflammation can spread to the joints, nervous system, heart and other organs and tissues. Patients also generally present with fatigue, a general feeling of being ‘unwell’, ‘brain fog’, general pain, sleep disturbances, night sweats, swollen lymph nodes, headaches, sensory disorders including tinnitus, dizziness and difficulties with balance. Nervous system and musculoskeletal systems: tingling, burning, sensation of numbness, stabbing pains, shooting pains, stiff and painful joints, muscle spasms, muscle twitching, muscle weakness, back pain, stiffness in the neck, neck pain, rib pain, restless legs, arthritis, jaw tension. So if you have been diagnosed with chronic fatigue syndrome, fibromyalgia, rheumatoid arthritis, multiple sclerosis, Alzheimer’s disease and even lupus, you need testing for Lyme and its co-infections. This is especially relevant if you have been ill for a long time and you are not getting answers. The good news is that there are a number of practitioners who can and will diagnose and successfully treat Lyme disease. There are a variety of diagnostic techniques available and quality treatments to enhance your recovery. Testing for Lyme disease should ideally be a combination of Bicom Bioresonance testing, clinical diagnosis (that is, your practitioner being a good detective! ), possibly using the MSIDS questionnaire and, if applicable arranging blood tests from the relevant labs. Blood tests may be useful for patient satisfaction or to satisfy demands of insurance companies, workplace, etc. However, the blood tests are often only 50-60% accurate. Treatments offered include first and foremost, BICOM® Bioresonance therapy alongside holistic naturopathic advice on self-help strategies and food choices, lifestyle changes, detoxification techniques, supportive supplements, therapeutic herbal medicine, plus homeopathic remedies for immune regulation, organ support and symptom relief. Recovery from Lyme disease is POSSIBLE. It involves hard work and patience, and dedicated teamwork between yourself and your healthcare team. I have treated, and am treating many patients diagnosed with these infections, and am proud to see so many improving their health immeasurably with my help. Do you have symptoms you are concerned about and not getting answers? Do you think you could have Lyme disease? So what are you waiting for? Book an appointment and begin your journey to optimal health once more!